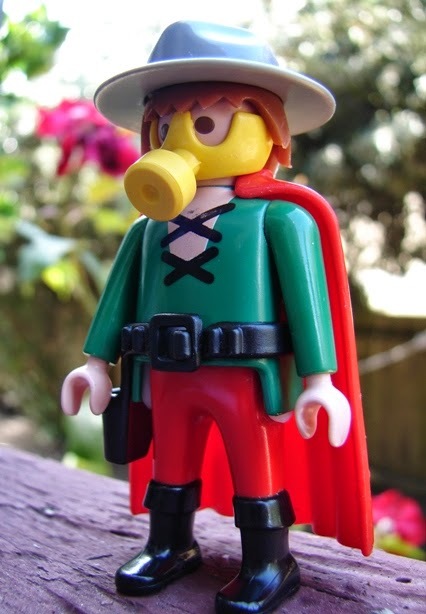 Golden Age Sandman Playmobil custom. 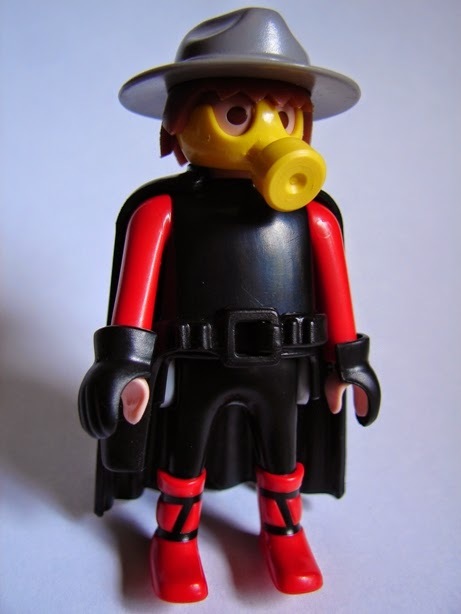 The Mrs. brought home a couple Playmobil figures from the thrift store the other day, and as luck would have it one was wearing a gas mask! As soon as I saw the gas mask I started digging into the bag of random Playmobil accessories and figures I have (wait, you don't have a bag full of miscellaneous Playmobil parts and accessories? I thought everyone did!) to cobble together a reasonable likeness of Wesley Dodds's classic comic book alter ego. I will eventually need to find a Playmobil figure in all green or a green suit. And a purple cape. But until then this pirate body and red cape closely represent the gaudy colors of the Sandman. Or maybe I can find a more subdued suit in brown and a brown cape, and make him more 'real world' looking. I also need some sort of gas-gun but have yet to come up with anything acceptable from my bag of parts. Either way, The Sandman is a great Golden Age character and I'm glad to finally be able to make him in Playmobil form, no matter how many versions it takes to get him just right! I think if I were to ever get any Playmobil figures it would be the early ones. 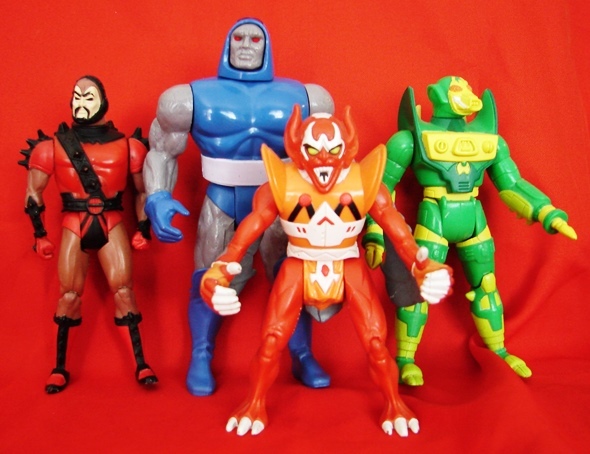 The ones I had as a kid.